Winter arrived in Illinois this past Saturday! We got our first snow and the chickens were scared! The baby chicken in the picture above stood on the tiny tree stump to avoid stepping in the fluffy white stuff. 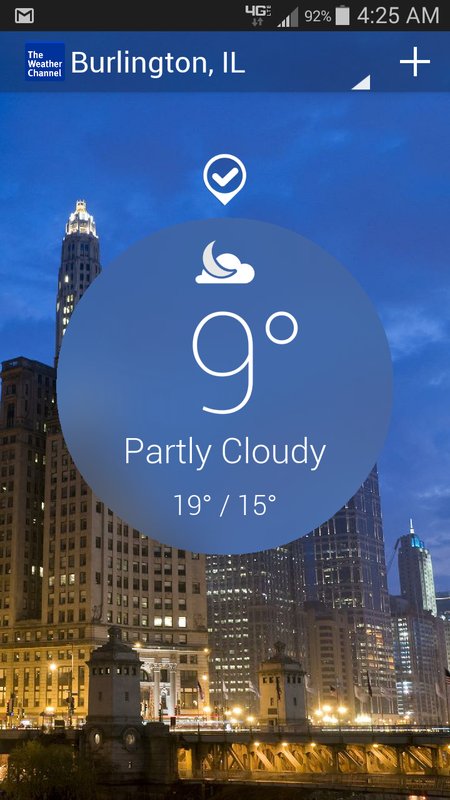 It's been a whopping 9 degrees in the morning... Brr. Oh, I've been getting up around 4a.m. each morning and reading for a little bit. I had to take a screen shot of the temperature, because I can't believe it's THAT cold already! !